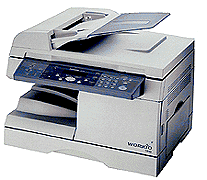 Need Help In Choosing The Right Copier Let Us Help You. 33.6kbps Super G3 Transmission, 3 Seconds-Per-Page Transmission Speed. Shop @ TristateCamera.com for Point & Shoot Cameras, SLR Cameras & Digital Cameras & Memory, Film Scanners, DVD Players, Camcorders, Inkjet Printers, Laser Printers, Plasma TV's, Multimedia Projectors, Desktop Video, Notebooks, PDA's, Fax Machines, & Supplies, Yahoo Store.